Do you want to have the high performance of a regular board, but are you looking for a smaller footprint? 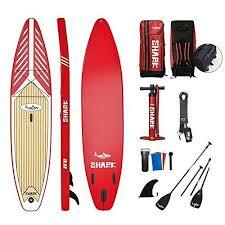 Inflatable boards have pretty much the same characteristics of hard boards, but can be easily stored and transported. When deflated, the boards fit easily in the corner of the garage, the trunk of a car and can be checked in as regular baggage on a plane. 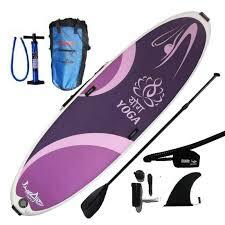 Just like hard boards, inflatable boards come in different sizes and shapes to allow for certain specific water conditions and usage, and the type of rider. 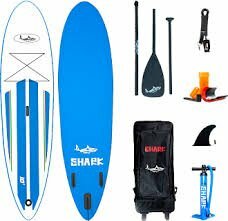 The smaller models are ideal for children or SUP-surfing, whereas the bigger and wider models are great for allround and family usage, and 12’6 and longer models are great for touring and racing.